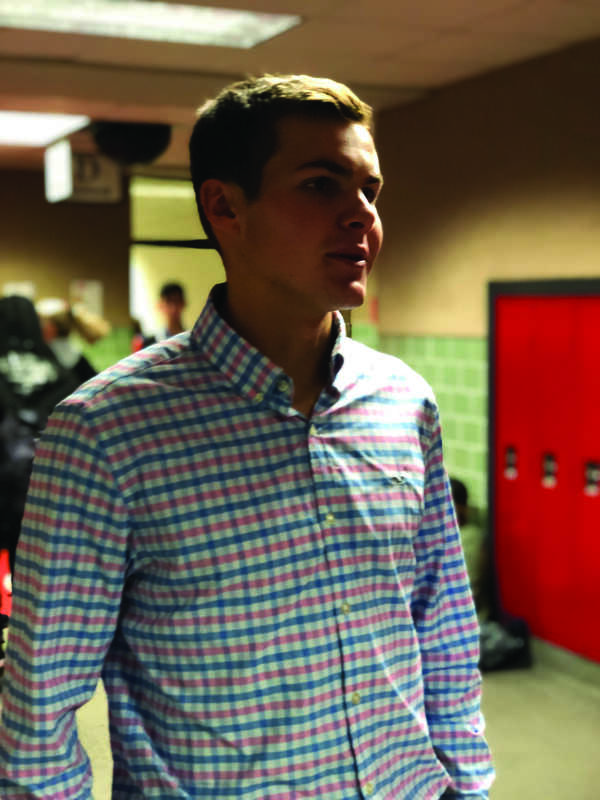 Tennis player earns mental attitude award - NCHS Live! Eddie Prein is a senior tennis player that has been on the varsity team for the past three years. With the conclusion of the 2017 season Prein was given the IHSAA Mental Attitude Award for his work on and off the court. Reporters Ethan Alyea and Ian Ray caught up with Prein to discuss his season and career. Q: How long have you been playing tennis? A: I’ve been playing tennis since I was around six years old, and this is my fourth year playing here at North Central. Q: Are you happy with how you performed during the 2017 tennis season? Q: How do you feel after winning the award? A: I felt really good when I won the award and I was happy to see that my work payed off. Q: What steps did you take to achieve the award? A: I always tried to stay calm, keep my head in the game, and focus on my match when I was on the court. Q: What does the Mental Attitude award mean to you? A: It means a lot to me because it goes to show that I put a lot of work into my final season at NC and it’s a great send off after four years. Q: What are your plans after high school? Are you going to keep playing tennis? A: I plan on goig to college, and I don’t really know yet. I’ve talked to some coaches, but I’m not sure if I’m going to play. Q: How did it feel different at the end of your senior season compared to the end of your freshman season? A: It was so different. I mean, there was just the whole idea of never doing it again with the North Central team, and the idea that it was just all over. There was a lot more maturity and experience thatcomes with having played for four years compared to the freshman year naivety. Q: What’ your favorite memory from your time at NC? A: There’s a lot of cool ones. Sophmore yeare watching JT win a tight match against Carmel was awesome. When I first beat a Carmel varsity team that was really exciting too. Q: Do you have any regrets from your time at NC? Did you put in enough hard work? A: I think put in the work for it. I guess a regret would be I came out, I didn’t play, I didn’t have my best match for my last match in the state finals but I don’t think that was because of the work, I think it was just that day.